So someone has been doing a bit of shopping! I went to IMATS on Saturday, and it was lovely meeting some YouTubers who I have been watching for the longest time such as MissGlamorazzi, FleurdeForce and BeautyCrush. The day before IMATS I popped to the Jo Malone counter at Selfridges and picked up some yummy smelling fragrances. Then it was IMATS day, and obviously I did some damage! I was hunting down this little guy (lucky that it wasn't that hard to find). I am definitely a sucker for sweet, fruity and floral scents and this did not disappoint. It has a very sweet yet citrus-y scent to it which I absolutely adore. I got the smallest size as I have trouble finishing perfumes, so I did not want to waste product and space. The second fragrance I got was the Red Roses Cologne, also in the smallest size. I have a thing for roses, as you may have noticed. My adoration for the Christian Dior Creme de Rose and the Diptyque Rose candle proves my point! This just has a nice fresh floral scent, which is extremely refreshing yet adds a very attractive element to anyone wearing it. It gives off a vibe of femininity without being overly mature. I must also mention that the lady who served me at Jo Malone was a sweetheart - I have found Jo Malone sales assistants to really take the initiative to assist the customer. Extremely helpful and friendly, making my experience stress-free and relaxing - what more can I say! I definitely see myself purchasing more at the Heathrow airport just before I head back to Hong Kong to save a bit of money and to get my hands on some more lovely scents! 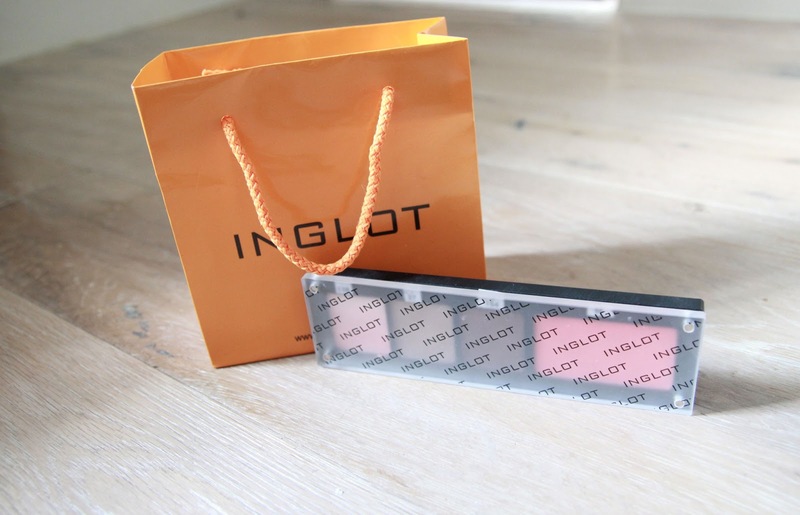 I first stopped by Inglot as it was in close proximity to the entrance, and to be honest, I was slightly overwhelmed. With the concept of 'Make Your Own Palette', it gives you the freedom to put together any eyeshadow or blush that you wish. However, for indecisive people, or people with decidopobia like me, it was a difficult task. The wide range of colors sitting before your eyes makes you doubt every choice you make. However I settled with three eyeshadows and a blush and cannot be happier. I am a girl of neutrals, as it is probably known by now. So I went for colors that I did not already have, yet I would wear. I deliberately peeled off the labels from the packaging (they were all packed separately so I could 'build my own palette'), cut them to size and stuck them on so I would know the names of the colors (it helps, particularly if you film beauty videos on YouTube to inform the audience of the color name/number!). The first eyeshadow that caught my eye was 118, which was almost like a trio of peachy pink colors. All colors can be used separately, but can also be blended together to get a warm soft pink color which would be versatile as it could be used as a blush as well as an eyeshadow. The next color, 37, is a shimmery light taupe color, almost resembling Stila Kitten but with a bit more brown in it. I love this shadow and can see myself wearing it a lot. Inglot eyeshadows are not as crumbly as the Stila eyeshadows, so the finish is flawless. The last color I got was 154, which is a beautiful bronze color, yet has a tint of aubergine in it which I found intriguing. You may think that I own enough brown eyeshadows, but nothing as gorgeous as this. This would look amazing on itself for a night out or on the crease and outer corner to add a bit of dimension to the eyes. I picked this blush before all of the other eyeshadows. 68 is an almost neon coral color, and looks gorgeous in real life. On camera, it looks like any other matte pink blush, but trust me, swatch it at the store and you will know what I am talking about! 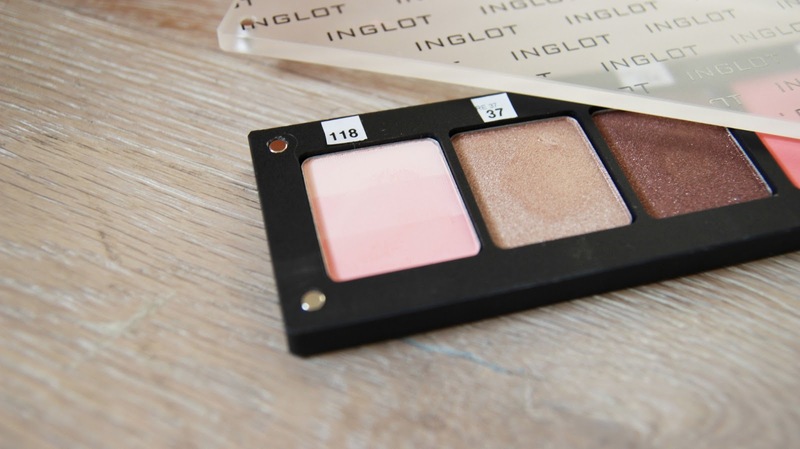 I love the silky finishes of the Inglot colors and would highly recommend them. I purchased a Z Palette as I have been wanting one for ages, but have always thought that they were a little overpriced. Obviously at IMATS, you do get a small discount, but with the entrance fee it eventually evens out. I'm not going to lie, I have no idea what I'm going to use this for yet. We shall see. My friend Suzi from StyleSuzi (we are more like Twitter friends! ^^) tweeted a photo of this, and although I have heard of this for a while, her thoughts of it were the reason I decided to purchase this (along with the small discount). I got two black ones and cannot wait to try this! If you were at IMATS, you could not possibly have missed the giant booth which immediately attracts your attention when you walk through the entrance. The Royal & LangNickel booth overpowers all of the other booths with its size and the huge variety of makeup brushes. It was makeup brush heaven. I have been meaning to gradually replace my Sigma brushes but I think this trip has enabled me to replace them all at once. The brushes I got ranged from £3.00 to £13.00 depending on the brush. Brushes I got included a large powder brush, angled brow and eyeliner brush, a finishing fan brush and some other eyeshadow brushes.